No Deposit Bonuses For Roulette: Should You Accept Them? Everything casinos do is to make money. They’re a business, not a charity. So you can expect any “freebies” they offer to benefit them, not you. The idea behind a deposit bonus is naturally for you to deposit larger amounts into your account. And if everything goes as planned for the casino, you’ll lose the entire amount. A no-deposit bonus works a little differently. They are designed to hook you as a player to begin with. For example, an online casino may newly registering players $50 of real money to bet on roulette, without you needing to deposit any real money. This might sound like a bad deal for the casino. But casinos often pay affiliates over $200 per newly registered account – whether or not the new player deposits funds. They can afford to do this because they know perhaps 1 in 10 of the new players will become regular losers. And 1 regular loser may profit the casino several thousand dollars each year. So ultimately no deposit casino bonuses are just a form of advertising. Often these bonuses require you to enter a bonus code. This is mostly so casinos can track where you heard about them. And this tells them what advertising works. Some of the less experienced casinos allow affiliates to run promotions with special bonus codes. The codes are unique to specific affiliates. But this is a poor way to track advertising because players often use google to search for bonus codes. The most common such bonus is real money in your account to bet with. So you create a new account in your real name, and your account is automatically credited with real money. Of course you can’t just withdraw the funds. There are always conditions. The conditions vary. Often they require you to have wagered a specific amount of money before a withdrawal is permitted. 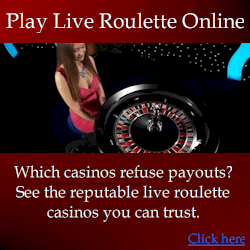 For example, say you got a $100 no deposit bonus for roulette for creating an account. You’re probably thinking you could create an account and bet it all and hope to win big. Well, you can’t. Because the fine print may state you must wager at least $10,000 before you can withdraw your funds. 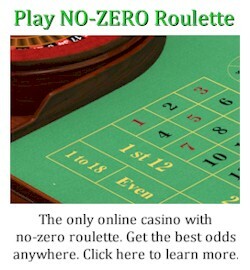 So if you bet your $100 on zero and won, you’d have $3,600 in your account. But then you’d still be well short of having bet the required $10,000. This is just an example, but casino owners are not stupid people. Most hire mathematicians, statisticians and marketing experts who carefully create bonus offers that will almost certainly profit them. Putting it into perspective, there might be 10 players with a $100 bonus. Nine players lose everything, and one wins $900. But the winning player can only claim $200. So effectively the casino has “spent” only $200 to buy 10 registered players. That’s just $20 per registered player. Again casinos aren’t stupid. They know some players will try and create duplicate accounts to get multiple chances to win free money. So casinos almost always have automated IP address matching software. This enables them to catch people with multiple accounts, and people who use IP proxies or VPNs to avoid detection. There are ways to use proxies to avoid detection. And there are valid reasons why you would use a VPN. So using them alone is not going to get your account banned. But they can and often do flag your account, prompting casino staff to more carefully watch your account. So as a fail-safe, online casinos will almost always request some form of government ID from you. It is of course an offense to supply them with fake ID. Forging government documents is not recommended and can get you into a lot of trouble. Nevertheless, I know many players who have sent online casinos forged documents without any problems. This includes scans of forged drivers licenses. 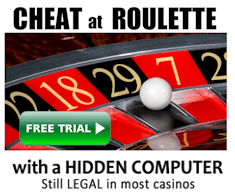 So clearly many casinos don’t even check if a document is legitimate. Doing so would be a costly and tedious process for any online casino, unless they have direct access to government databases. Many casinos offer various perks to regular players called “comps”. For example, you might wager $1,000 to get a free $300 room in a hotel. And if you wager $1,000, you may only lose about $100 of it. So effectively you will have a hotel room at a discounted price. Have you made money? Not exactly. But a penny saved is a penny earned. So if you originally were going to spend money on the hotel room anyway. You could theoretically earn “comps”, then re-sell them to others. So you could lose $100 on roulette to get a comp valued at $300, and re-sell it for $200 to make a $100 profit. In the long-term, this is virtually a guaranteed profit. The only problem is you’d need to find a buyer. And it seems like an awful lot of time and effort for relatively little payoff. Some online casinos offer similar comps and benefits for your continued play. But they are much more common for real casinos.